Want to create a video and upload it on YouTube? Or may be you are looking for professional video editor tools. 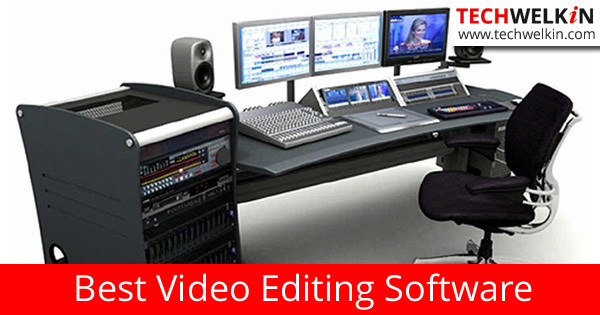 Here is a list of best video editing software available for Windows, Mac OS and Linux. This list contains software for free download as well as professional video editor tools that you can buy. With the rise of YouTube, a lot of people got interested in video editing. You must have seen a massive number of interesting videos on platforms like YouTube and Facebook and many of you might have wondered how such videos are produced. People also produce and upload screen recorded tutorials and presentations. Video editing is a crucial part of creating the final product that you see online. And there is a variety of video editing software available that can help you in converting your raw video footage into a professional looking video. Those days are over when movie editing was a job for select professionals. In this new digital era, computer software have made to job of movie editing much easier. Today, we are presenting a list of best video editing software for Windows, Mac and Linux platforms. The best thing about Windows Movie Maker is that it is free and very easy to use. In terms of features, it is very basic video editor but for a beginner, it comes handy. Windows Movie Maker is part of Windows Essentials and can be downloaded for free if it is already not there in your computer. List of best video editing tools. It includes both free for download as well as professional software. This software has been designed for newbies and for making simple videos. 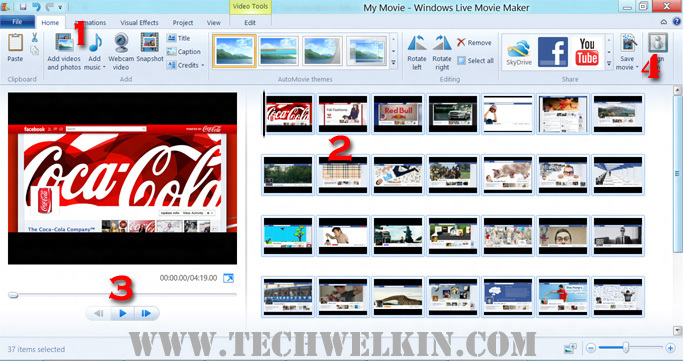 All you need to do is to add photos and/or video clips in a new Windows Movie Maker project. You can then arrange these photos/videos in different sequences, add captions, titles, credits and some simple visual effects and transitions. You can do cropping, trimming, rotation and joining operations. Also you can merge a voice or music file with the video. Once you’re done with video editing, you can save it in any of the several formats. Then you can upload the saved video on YouTube. As you might already know, you can monetize YouTube videos and earn money from your work. Download Windows Movie Maker. It’s Free! If you ask any professional in the field about a good video editing software for Windows, chances are AVS Video Editor will be recommended to you. Developed by Online Media Technologies Ltd, this software comes as part of the AVS4YOU suit. For input, AVS Video Editor can take video, audio and image files from your computer. It can also capture screenshot of your computer screen, image/video from your camera, VHS tape and of course you can record voice. With all these elements you can create a fancy new video project. AVS offers a large range of transitions and visual effects. Using AVS video burner, a part of the software, you can burn the final project on a CD, DVD or Blu-ray disc. AVS Video Editor comes bundled with AVS Mobile Uploader (for transferring edited video to mobile devices through Bluetooth, Infrared or USB), AVS Video Burner (for burning files on to different disc types; e.g. CD, DVD, Blu-ray), AVS Video Recorder (for capturing video from analog video sources like capture card, webcam, DV camera, HDV camera), AVS Video Uploader (for uploading video files to websites like YouTube, Facebook, Dailymotion, Flickr etc. ), AVS Screen Capture (for taking screenshots). To use AVS Video Editor, you would need a powerful enough computer. While buying a computer for this purpose, you should make sure that it has at least 2GB RAM, dual core process and a good graphic card. Price of AVS Video Editor: You can try it for free by downloading it. File size is over 140MB. After the trial period expires, you can buy it for $199 (unlimited access) or $69 (one year subscription). If you’re an Apple Mac user, you don’t need to look beyond Final Cut Pro. This impressive software has been developed by Apple Inc. to be used on the Mac OS. It has been used for editing a lot of Hollywood movies. Cold Mountain (2003), No Country for Old Men (2007), The Curious Case of Benjamin Button (2008), The Social Network (2010) and The Girl with the Dragon Tattoo (2011) all have been edited using Final Cut Pro. And all of these movies have either been nominated or won the Oscar for Best Editing! The interface of Final Cut Pro will appear very intuitive for those who have done non-computerized video editing. It was deliberately designed in such a way. 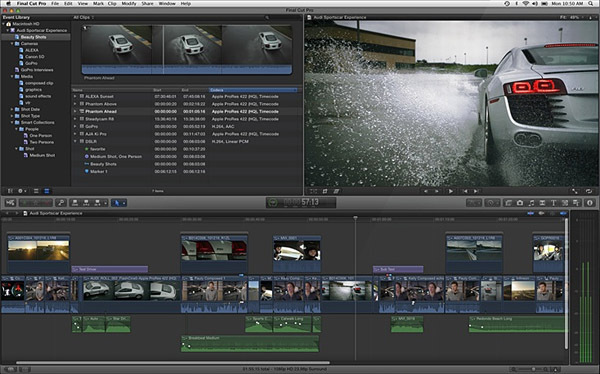 Some of the features of Final Cut Pro: Interface designed around the non-computerized editing work-flow, unlimited audio tracks, multi-camera editing, manual 3-way color correction filter, generators, such as slugs, test cards and noise. Lightworks is a professional video editing software. Lightworks has also been used in editing of several Hollywood movies; e.g. The King’s Speech, Hugo, The Departed, Mission Impossible, Pulp Fiction, Braveheart and Batman. 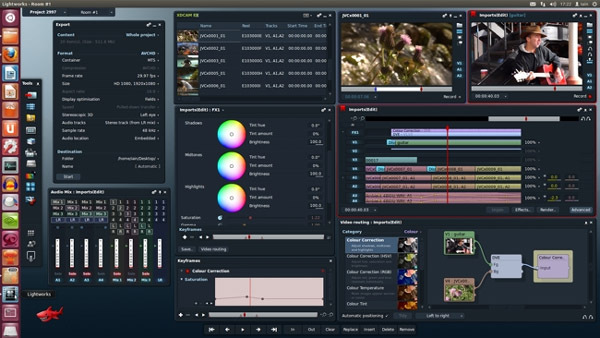 Lightworks video editor. Interface of Linux version. It comes in free and Pro versions. The free version is fully functional but the only export format available in free version is MPEG-4 at 720px resolution. This format and resolution is appropriate for websites such as YouTube and Vimeo. In Pro version, you can export the edited video to all broadcast formats including AVID DNxHD, Panasonic and Sony formats, AVCHD, MOV, MXF, AVI. Lightworks is available for Windows, Mac OS as well as Linux. Can be installed on: Windows, Apple Mac, Linux. This scaled-down version of Adobe Premiere Pro is meant for newbie video editors. Adobe Premier was one of the first computer-based non-linear editing system. It was developed by Adobe Systems and released in 1991 for Mac computers. Adobe Premiere Pro is being used by the BBC, CNN and this software has been behind the editing of several Hollywood movies like Gone Girl and Monsters. Adobe Premiere Elements features real-time video rendering with which you can instantly preview the changes you make in the video files. It can handle unlimited audio and video tracks. One important thing that you need to remember that the project files created in Premiere Elements are not compatible with Premiere Pro. Adobe Premiere Elements is available for Windows and Mac OS. In 2006, Adobe Premiere Elements was found to be the top selling video editing software! Developed by the Taiwanese company CyberLink, PowerDirector is another popular video editing software. It offers more than 500 transitions and effects. The preview rendering is done in a jiffy (but of course it depends on the capacity of your computer too!). With PowerDirector you can easily edit multi-camera videos. In the latest version, you can burn the videos on Blu-ray discs as well. Interface of PowerDirector may not be very intuitive for many users and some other people may feel that the interface is very complex. Price of PowerDirector is $70. Buy it. Some of the features of PowerDirector: Motion tracking, Blu-ray disc authoring, Screen recording, Content-Aware editing. Developed by Sony Corporation, the Sony Movie Studio was earlier known as Sony Vegas Movie Studio. It is a scaled-down version of Sony Vegas Pro (which is a professional level video editing software for broadcasters). Sony Movie Studio now includes a “Show Me How” tutorial that makes the digital video editing easy to learn even for the first time users. Sony Movie Studio has 13 audio sound effects and it also offers surround sound mixing. You can also directly upload the edited video on YouTube. Supported formats: All modern image, audio and video formats. Price of Sony Movie Studio is $50. Buy it. Some of the features of Sony Movie Studio: Simple edit mode, interactive tutorials, touch enabled, supports 10 video tracks, over 200 2D and 3D video transitions, Chroma Key/Green Screen effect. American company Pinnacle Systems, Inc. originally developed the Pinnacle Studio for the consumer level customers. Pinnacle Studio comes fully-loaded with 1500 effects and transitions. It can handle up to 6 audio/video track in multilayer editing. Six is a small number but for novice and consumer level users, we guess this should be sufficient. Price of Pinnacle Studio is $50. Buy it. Some of the features of Pinnacle Studio: Multi-camera editing, 64-bit performance, Drag-and-drop video HD editing, 6-track frame-accurate editing, Simple sharing to YouTube, Facebook and Vimeo. Corel VideoStudio is a video editing software that comes from the makers of more famous Corel Draw, a graphic editing software. If you want to create simple fun videos, VideoStudio is packed with such tools. It also supports 4K Ultra HD and 3D media formats. Motion tracking feature of VideoStudio allows you to add text and other objects which will follow a moving element in the given video. On the downside, VideoStudio offers only 20 video overlay tracks and it is a bit slower in rendering, although it is designed to give 64-bit performance. Price of Corel VideoStudio Pro is $80. Buy it. 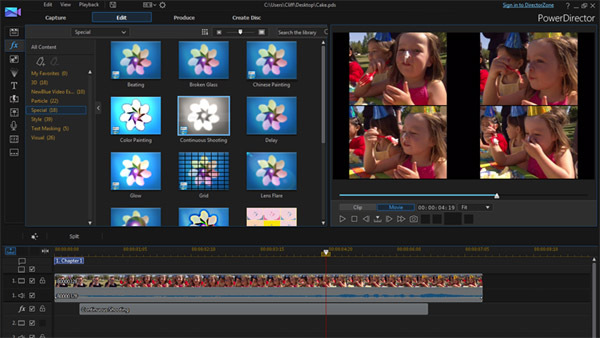 Some of the features of Corel VideoStudio: Simple interface, HTML5 video page creation. 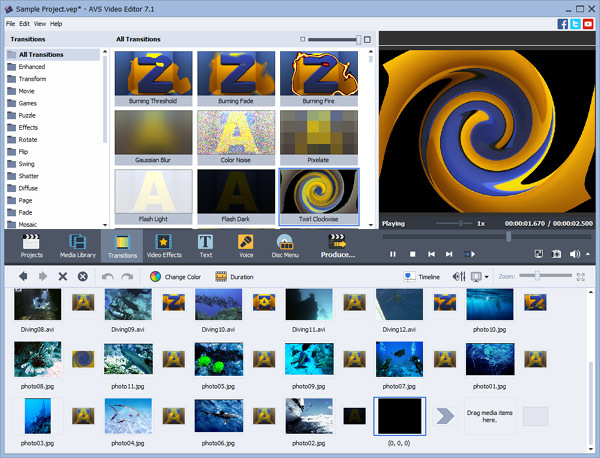 Pitivi (earlier spelled as PiTiVi) is a video editing software for Linux. It has an intuitive design and it gels well with the GNOME desktop environment of Linux. Pitivi is an open-source software. It has been developed by several developers using the funds mainly from Google Summer of Code Program and some donations. You can download Pitivi free of cost. Cost: Pitivi is free. Download it now! Some of the features of Pitivi: Ability to handle unlimited video and audio tracks, high-definition support, multi-track editing. So, these were some of the best available video editing software in market. We included both paid and free as well as consumer and professional level software so that you can select based on your requirements. We will continue to add more video editing software to this list as and when we would review another software. Do you also use a video editing software? Which one do you use? How is your experience with it? Please do let us know! Thank you for using TechWelkin. Lightworks works for me, it was easy to use. Now I am thinking about Sony Vegas Pro though it costs. But I think that may be an option. such a awesome list bro ! love the way you capture each and every thing in the review.